Will Guardiola implement more conservative tactics? "Four of City's nine Premier League games have seen more goals in the opening stanza than the second, while both of their Champions League matches have too." Two of the Champions League's most attractive footballing sides go head-to-head on Tuesday in what has the potential to be a real rip-snorter. Man City certainly haven't had things all their own way in this group so far, losing a home to Lyon and needing a late winner to beat Hoffenheim last time out. This is unlikely to be easy either - Shakhtar, unbeaten in 11 in all competitions, have never lost at home to English opposition, winning five of seven such meetings. They are [8.0] to add another victory to that record by winning this game, with City hot favourites at [1.41]. The draw can be backed at [5.7]. Shakhtar's five wins include a 2-1 victory over City in last season's group stage, although that was a much-changed visiting team as they had already qualified when they met. Like City, Shakhtar are all about attacking football - slick passing, an ability to break at pace. As ever, they have a number of second-tier - but still very good - Brazilian players to help them carry out this philosophy, one it is hard to see being abandoned here. So far in the group that outlook has produced two 2-2 draws - at home to Hoffenheim and away to Lyon, where they led 2-0 at one stage. One of the Brazilians, the excellent Taison, started both games but he'll miss this one due to injury which is certainly a blow. For City, Ilkay Gundogan - another starter in both Champions League games thus far - is a doubt having missed the last few weeks with a hamstring problem, but at least Kevin de Bruyne is playing again and he could come into contention for a starting spot. 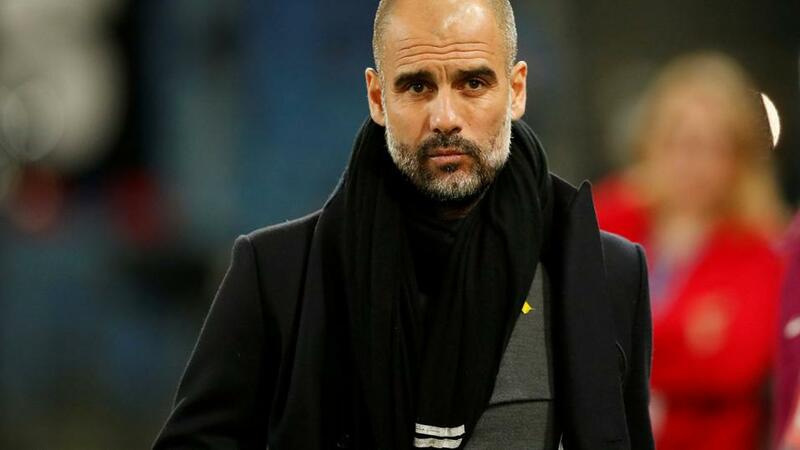 Boss Pep Guardiola's natural instincts will almost certainly be to go toe to toe with their hosts, but the Spaniard showed greater pragmatism in the recent clash with Liverpool, instructing his men to sit deeper and keep the ball away from their opponents in a bid to thwart them. Having seen the tactics work well at Anfield, it wouldn't be a huge surprise to see something similar employed here and if that's the case then the short prices about a goal-fest will stick in the craw. Over 2.5 goals is just [1.45] with [3.05] available on the unders side of the line. The latter could turn out to be good value but given I'm far from convinced how City will approach this, it looks a market best left alone. A better goals approach looks to be to try to milk some decent stats regarding when goals are scored. The odds in the 'Half with most goals' market always favour the second half quite considerably and that's the case again here with the second period at 10/11 and the first at 2/1. It's 11/4 about a tie. The two teams' stats suggest there's value to be had in the first half at that 2/1 price. Four of City's nine Premier League games have seen more goals in the opening stanza than the second, while both of their Champions League matches have too. One of Shakhtar's group matches also fits the bill and while their domestic stats don't fit the same pattern - only three of 12 weigh in - the fact that they have scored more often in the first half (19 times) than the second (16) is another reason to think early goals could be forthcoming. The bookings market may also offer some value when prices become available. Ukraine international Yaroslav Rakitskiy has been booked five times in 11 games for Shakhtar this season, while in terms of matches for club and country, he's now been carded in five of his last six. The central defender looks likely to be kept pretty busy by the likes of Sergio Aguero and Raheem Sterling in this one. Top scorer Junior Moraes is another who may well be a touch of value in the 'to be carded' market. Strikers are often a big price in this market but the Brazilian has seen yellow in four of his last six outings. With Spanish ref Carlos Del Cerro having shown five or more cards in four of his nine matches this season - he also averages well over four per game across his career in European competition - it's not difficult to envisage these two Shakhtar players making it into his book. As mentioned, if City are prepared to play an open, expansive game here there will likely be goals aplenty and that would have the potential to throw up a big-priced winner in this market. I'll therefore take a chance and put up full-backs Ismaily and Benjamin Mendy to score at anytime. Both men love to pile forward and Ismaily showed he can be dangerous in terms of goals when netting against Hoffenheim last month. Mendy also gets into some great positions when the leash is off and will surely find the target soon for City. The Anytime Goalscorer double pays north of 210/1.